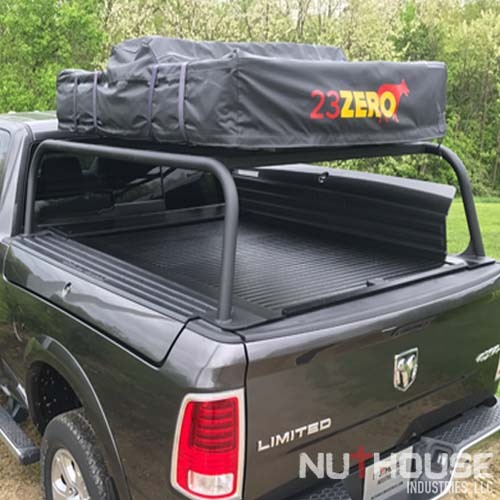 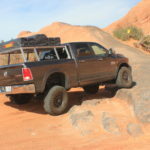 Nutzo Tech 1 series Expedition truck bed rack. 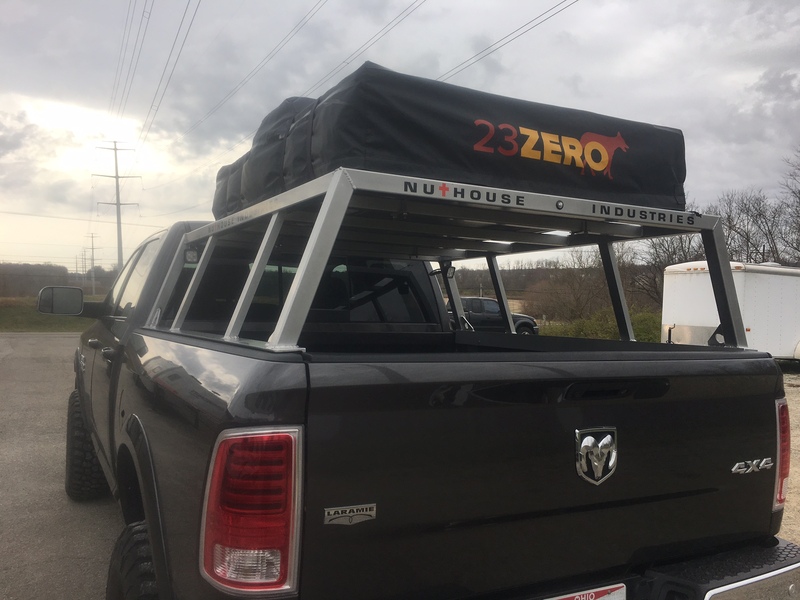 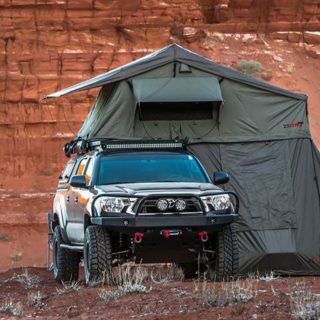 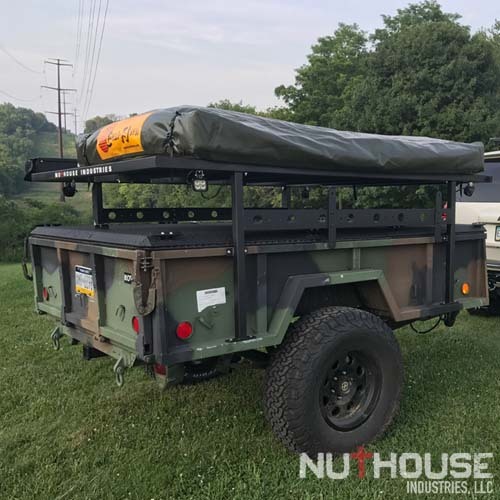 This is a fully welded, all aluminum, expedition roof top tent (RTT) rack. 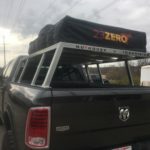 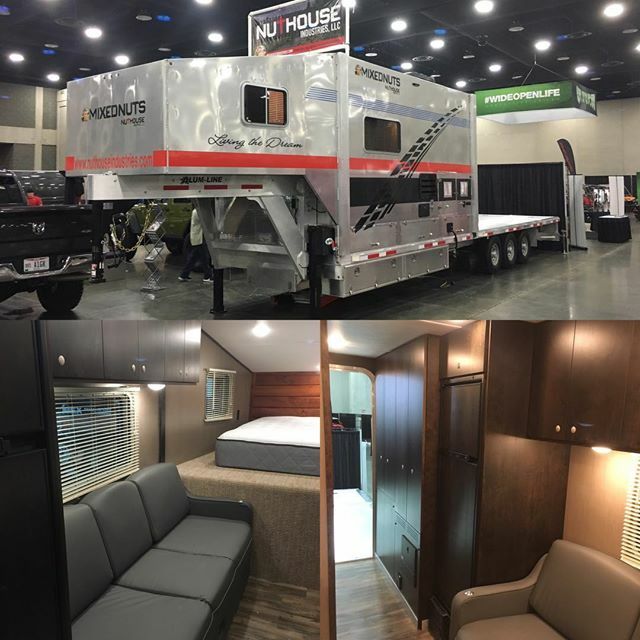 These aluminum bed racks can support the largest of RTT. 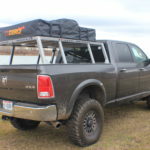 We can customize your truck rack to any configuration to accommodate your needs. 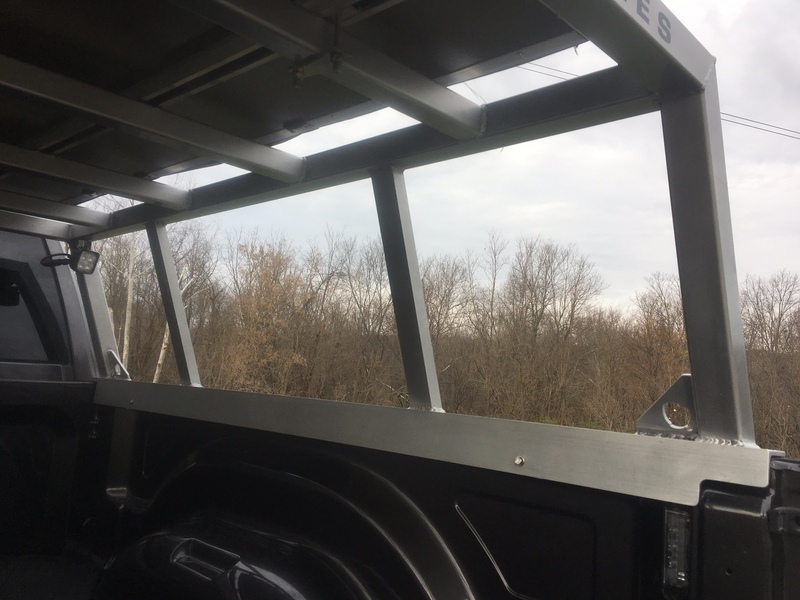 We custom build these racks to fit everything from light duty to heavy duty trucks. 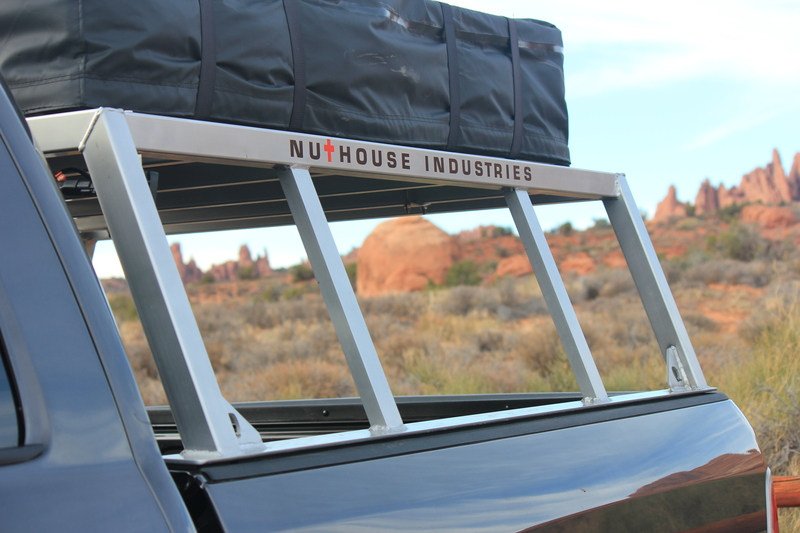 These racks are made from 2” square aluminum tube with 1/8” wall thickness. 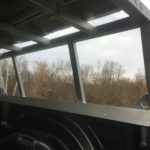 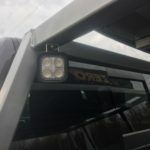 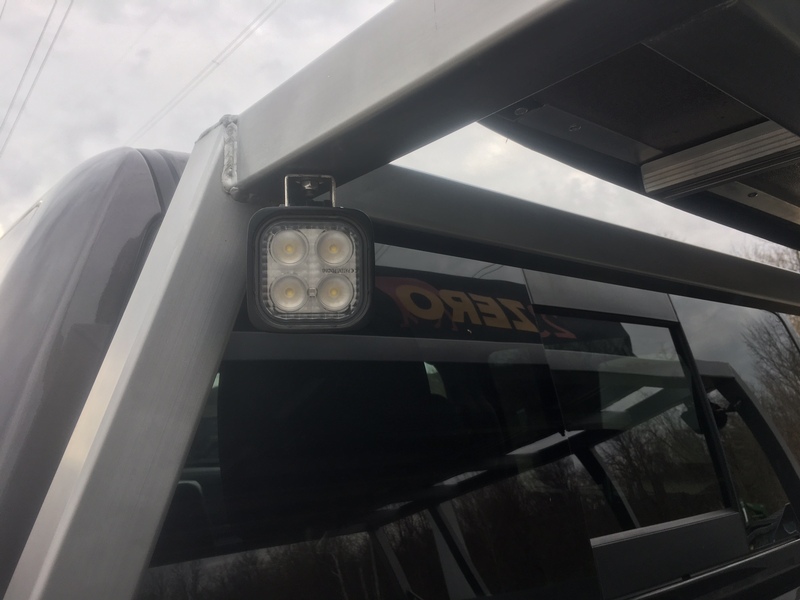 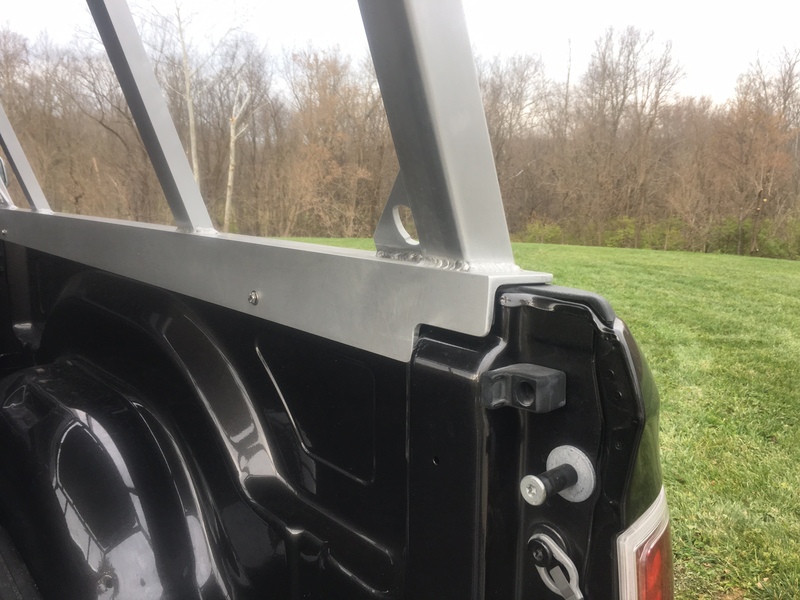 The cross bars are made from 1 -5/8” square tube. 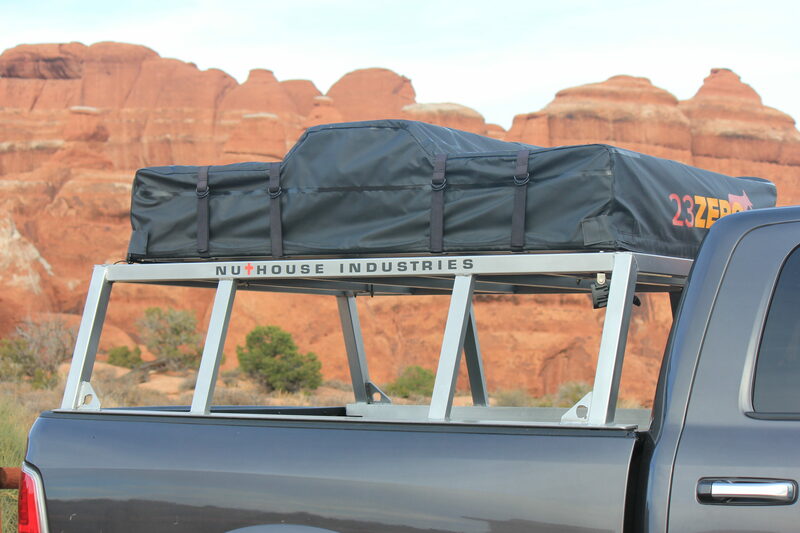 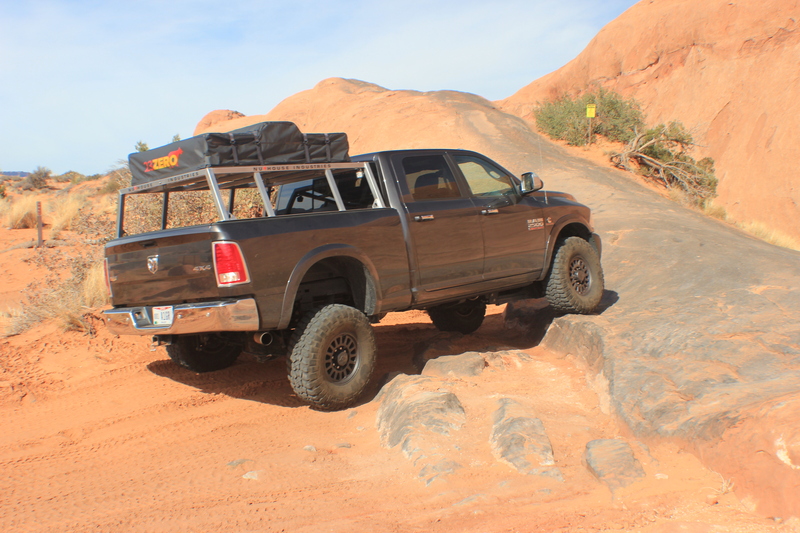 For a full size truck, the rack is welded to a 3”x 3” x 1/4” aluminum angle that runs the entire length of the bed. 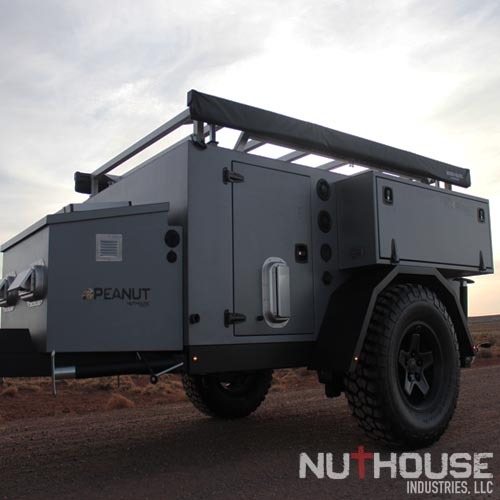 On the light duty trucks the bottom is welded to a 2”x 2”x 3/16” aluminum angle. 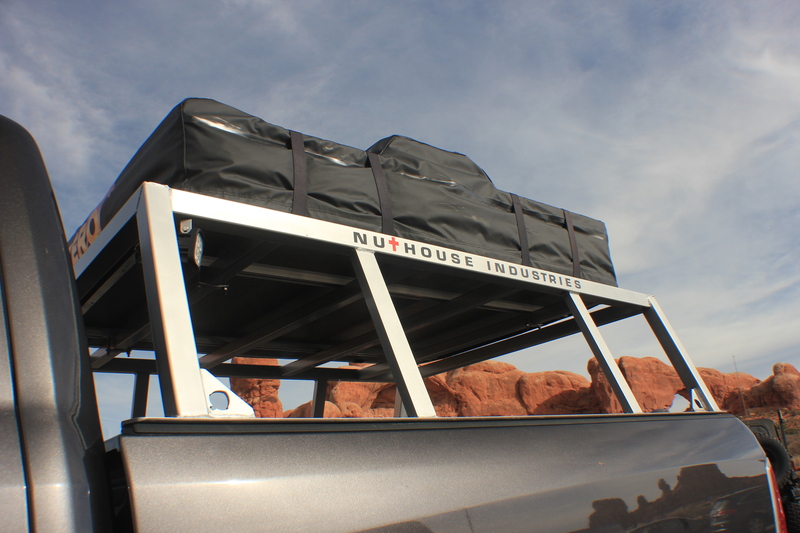 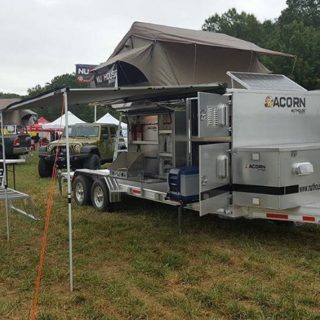 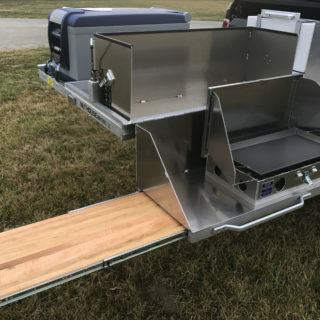 The all aluminum hard deck creates a secure and weather proof area for all of your gear. 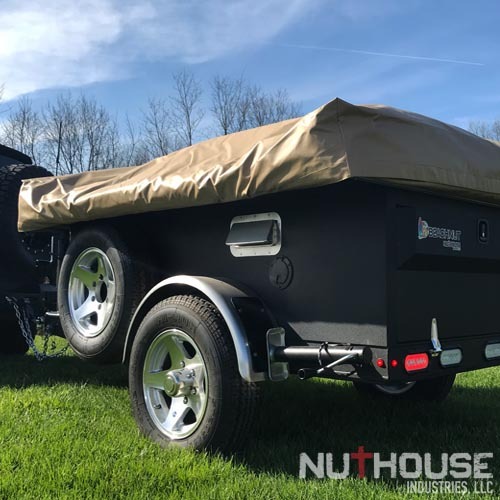 The 1/8″ aluminum sheet is reinforced with 1”x 3” cross bars. 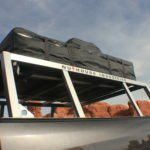 It is a sturdy platform for all of your exterior storage needs. 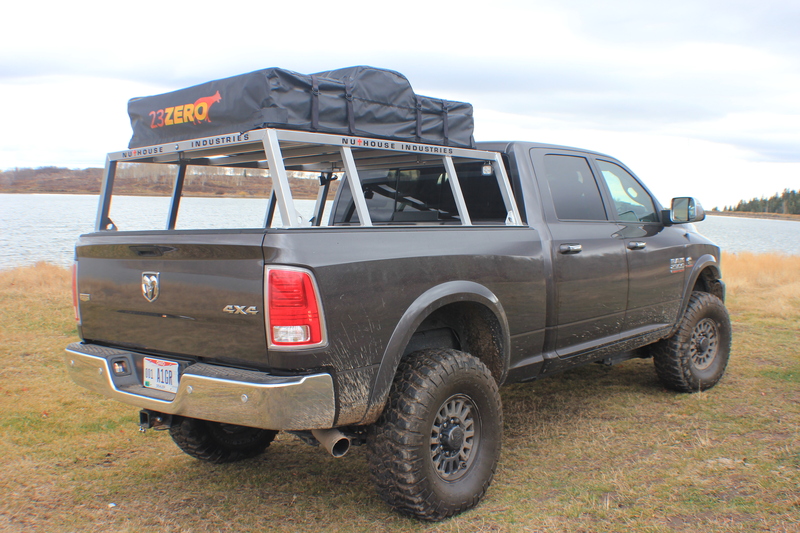 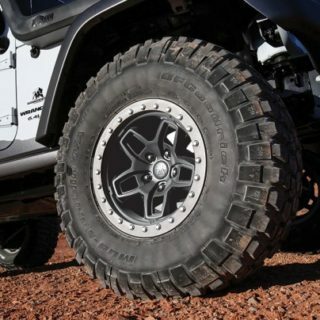 The deck also provides a great place to store a 40” spare tire. 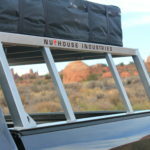 There are 2 multi-directional vents (optional) located towards the cab to promote cross ventilation inside the bed. 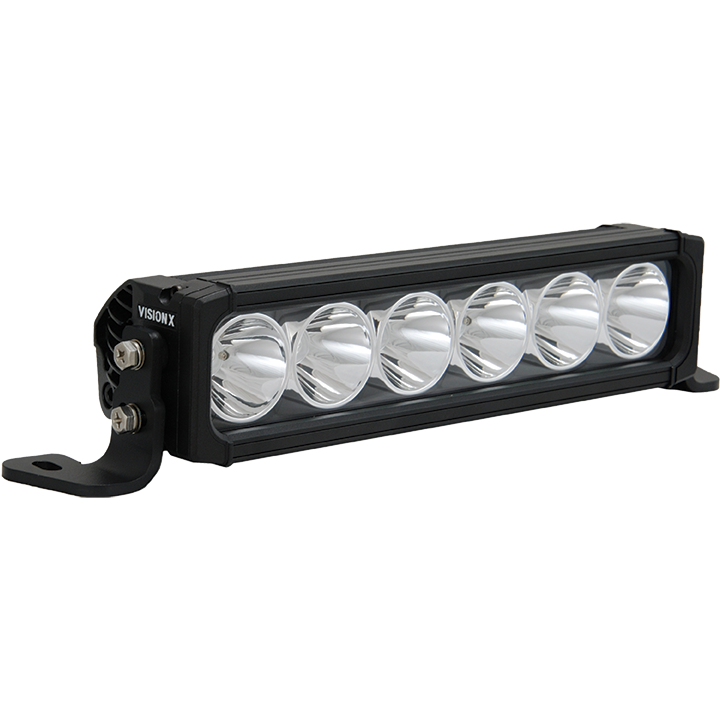 A standard Tech 1 rack has 6 crossbars (12 pairs of solid 1.625″ aluminum connectors). 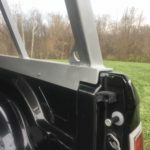 Each connector end has 2 Stainless Steel bolts with nylon locknuts.